Appearing on this episode of Money Making Conversations is television producer Jesse Collins, Exec. Producer of the BET series, American Soul, the story about the struggle to make the dream of Soul Train come true, CEO of Jesse Collins Entertainment & has produced award-winning programming including the BET Awards, BET Honors, UNCF's An Evening of Stars, ABFF Awards, Soul Train Awards & the BET Hip Hop Awards. 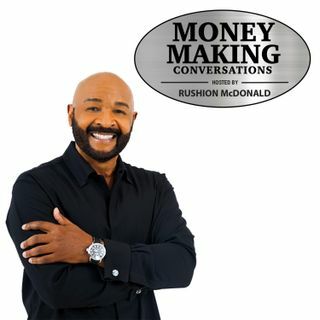 Each Money Making Conversations show hosted by Rushion McDonald is ... See More about entrepreneurship and entertainment. We provide the consumer and business owner access to Celebrities, CEOs, Entrepreneurs and Industry Decision Makers. They in turn deliver information about career planning, motivation, financial literacy and how they lead a balanced life.